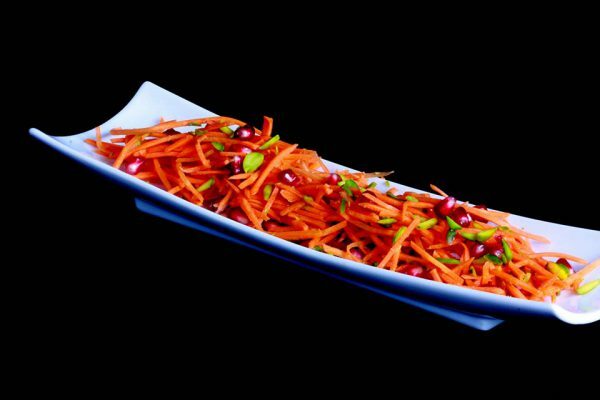 This is another very refreshing, delicious light salad. 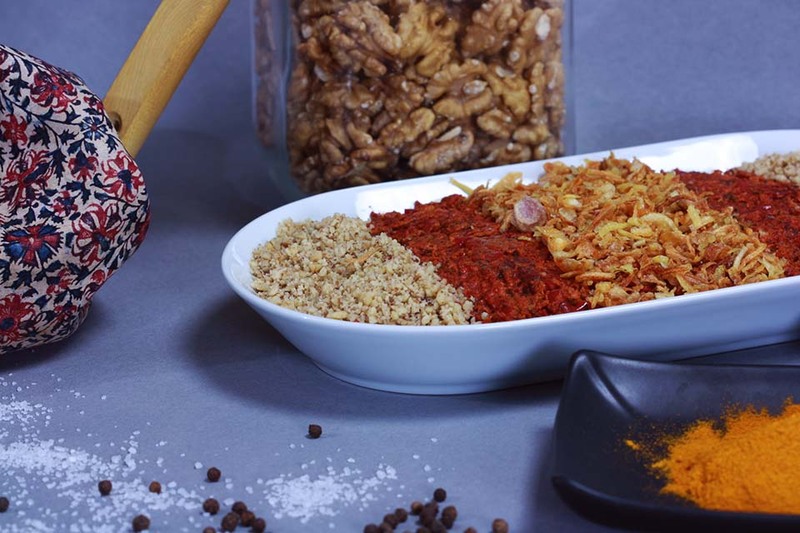 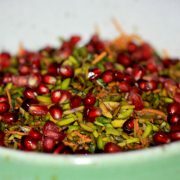 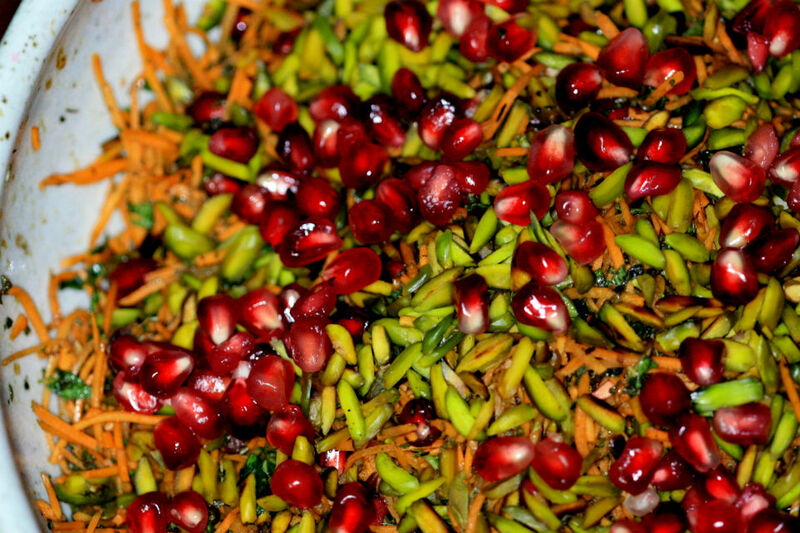 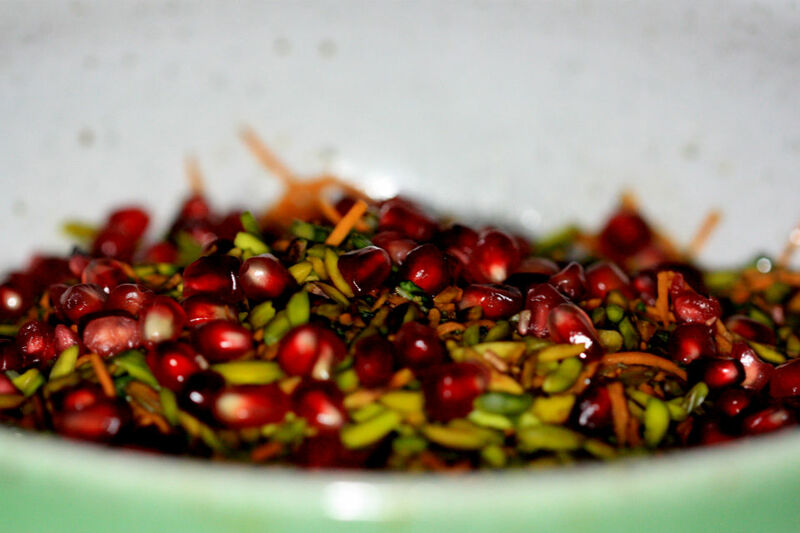 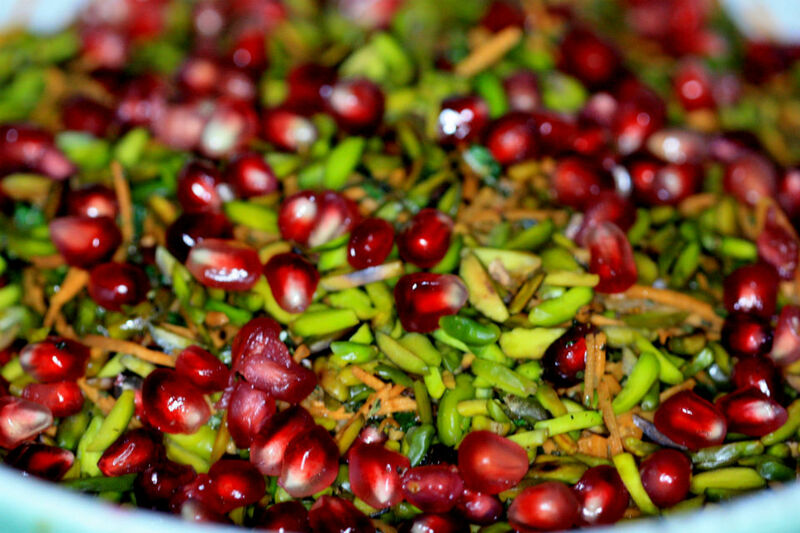 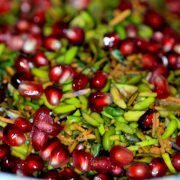 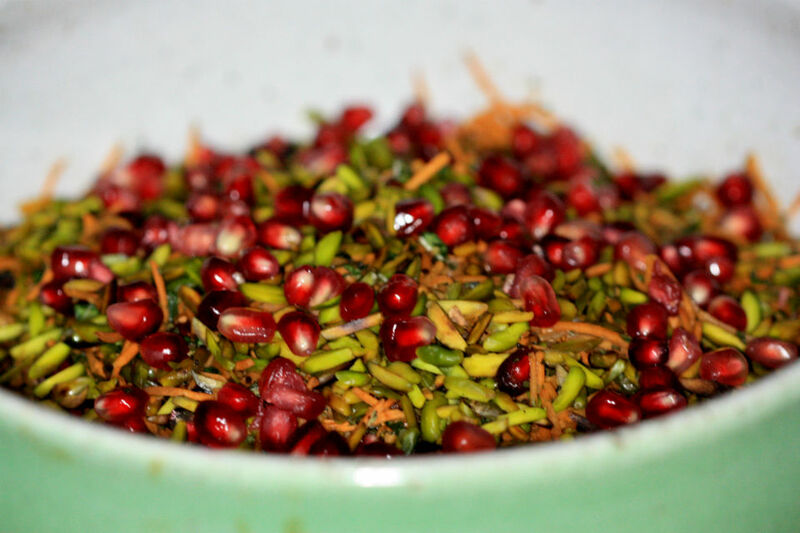 It is comprised of grated carrots, torrified pistachios and Pomegranate. 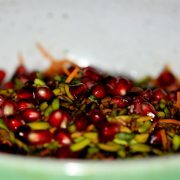 With an olive oil, pomegranate molasse and a touch of lime. 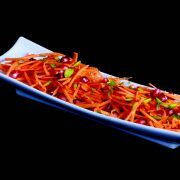 It is great in a buffet, an explosion of flavours and textures in the mouth and looks really nice adding a splash of colour to any Sofreh.